Canariis Corporations is another Manufacturer of high quality products A Waldrep Company, Inc. is proud to represent. 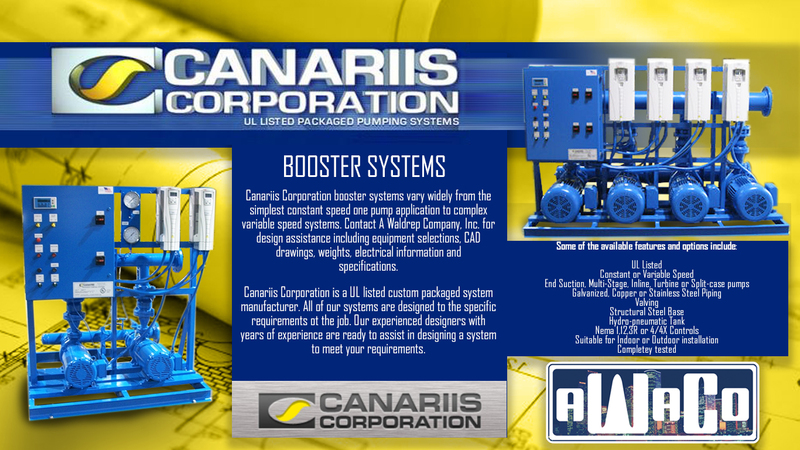 Our main focus with Canariis is for Domestic Water Booster applications. From the most simple of systems to the most complex, A Waldrep Company, Inc. is happy to provide you with quotes,drawings,configurations,weights dimensions and specification for your specific needs. These system are not only on the cutting edge of available technology in the industry, but they are packaged on a skid that that is both space saving and ascetically pleasing to look at.